# 12. 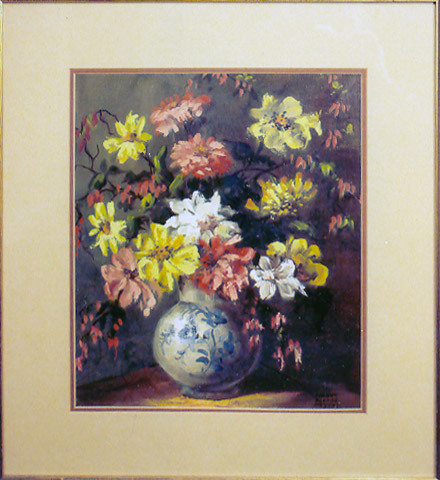 Floral still life showing flowers in a blue and white vase. Oil, matted and framed under glass. Signed Harry Morse Myers. Framed size is 22 x 19, unframed 15 x 12inches.